Washington Post food critic Tom Sietsema recently gave La Vie, the splashy Mediterranean restaurant at the Wharf, a zero-star rating. “La Vie on the Wharf is so bad I’m only writing about it as a warning,” the headline declared. The restaurant, which opened in June at 88 District Square SW, Fifth Floor, is owned by Social Restaurant Group, which also owns Provision No. 14 and Pamplona. The Founding Farmers restaurant near the World Bank was the most recent restaurant to get a zero-star review from Sietsema, but it is still one of the highest-grossing and most-booked restaurants in the country. Owner Mike Bramson said some of the issues, like a broken wine cooler that was the reason for the tiny, expensive wine list, were fixed before the review was published. Also, a new pastry chef has been hired. 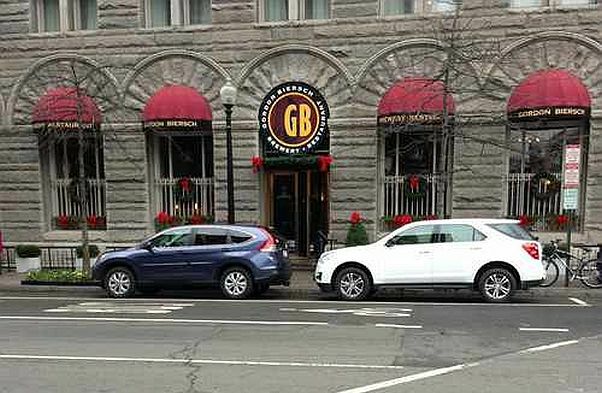 Gordon Biersch, 900 F St. NW, will close on Sept. 30 after 17 years. The Courtyard by Marriott hotel, which it shares the building with, will also close its doors about a month later. The location is the second-oldest continuously operating brewery in the District. Only District ChopHouse and Brewery is older. Gordon Biersch will celebrate with a goodbye party on Sept. 16th. 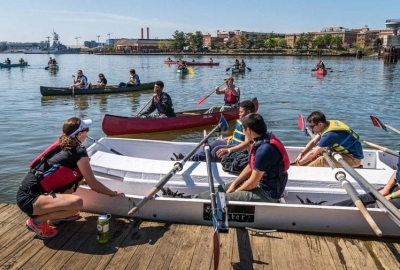 Brewer Scott Lasater has moved to the Navy Yard location, 100 M St. SE, replacing Travis Tedrow, who is leaving to become a full-time yeast-grower as the co-founder and production manager at Jasper Yeast, which grows strains of yeast for breweries and cideries. Other Penn Quarter brewmasters include Jason Oliver, who went on to launch Devils Backbone Brewing Co. in 2008. No word on what will become of the former Riggs Bank building, but employees will be offered positions at other locations, which include Rockville and Tysons Corner. 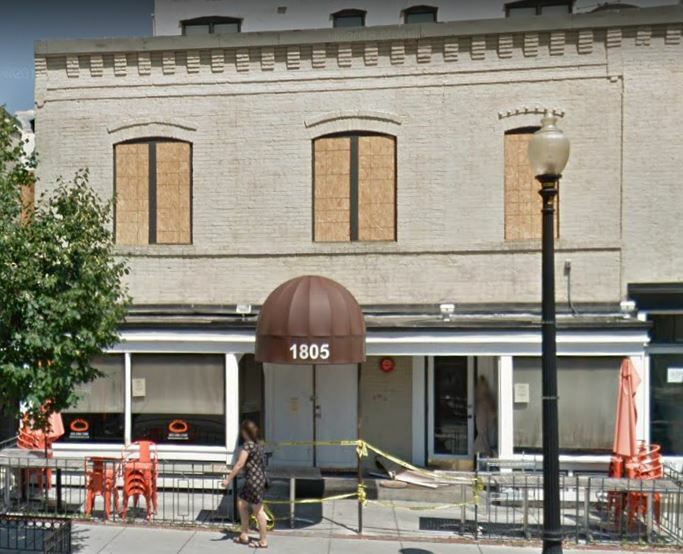 Chefs Danny Lee and Scott Drewno along with partner Drew Kim will open Anju in Lee’s former Mandu restaurant space, 1805 18th St. NW, which closed following an electrical fire on July 4, 2017. Another location at 453 K St. NW remains open. Fried Rice Collective, the restaurant group started by the three men that owns Chiko, will open the new restaurant, a Korean pub with grilled meats, fun snacks and soju-based drinks. The name comes from pop-up series Lee and his mother and Mandu co-owner Yesoon Lee hosted in 2014 with rotating area chefs serving Korean-fusion snacks. The name translates to “food consumed with alcohol.” But it also is used for places with fun drinking food and a lively atmosphere. Unlike the pop-up, the restaurant won’t feature guest chefs or fusion dishes. The first floor, which will be for walk-ins, will feature an expanded bar with cocktails made with rice wine makgeolli, Korean beers and soju infusions. Counter seats will look into the open kitchen with a wood-fired grill. 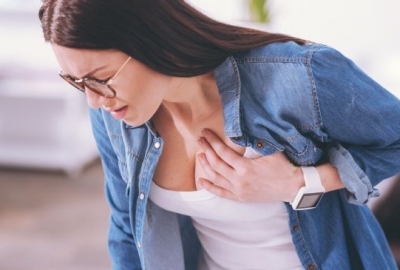 A variety of grilled meats, such as chicken, beef, pork and fish, will be offered along with vegetables in smaller portions so diners can mix and match. Dishes will be served with panchan, small side dishes like kimchi. Anju will serve a few of Mandu’s classics, such as bibimbap and jjigae stew. The rest of the menu isn’t set yet, but won’t be traditional Korean dishes. The chefs are working to pare down more than 100 dishes. Bar snacks will likely include bulgogi-seasoned beef jerky and “tornado potatoes,” spiral potatoes served on skewers. The second floor will seat people with reservations and private events. There will be two large round tables for a prix-fixe tasting that will include panchan and smaller shareable dishes, along with jeongol, a Korean-style hot pot on a tabletop burner. Groups will be able to pick from seasonal jeongol options, with other dishes based on it. 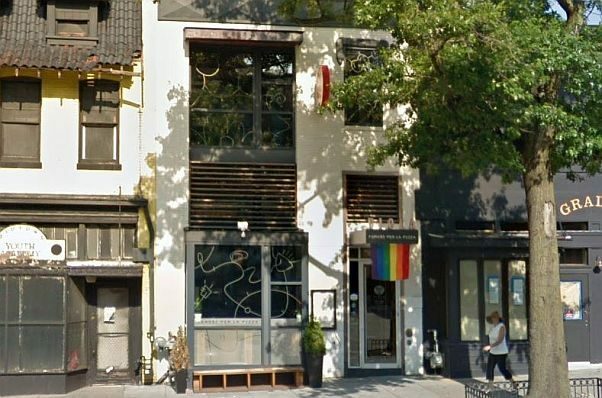 Seven Reasons, a South American-inspired restaurant from chef Enrique Limardo of Alma Cocina Latina in Baltimore and his partner Ezequiel Vázquez-Ger, is coming to the former Piola space at 2208 14th St. NW. It is expected to open sometime next year. Limardo, who is from Venezuela, entered the D.C. restaurant scene as the consulting chef for Chicken + Whiskey. He met Vázquez-Ger about a year ago at Alma Cocina Latina. Vázquez-Ger is from Argentina and a former political consultant. This is his will be his first time in the restaurant business. The menu will be divided into seven sections. Diners will be able to choose from small and medium plates or a family-style course such as Argentinian steak or a whole fish. Limardo has cooked in several countries and will draw inspiration from China, Japan, and the Middle East all tied together through South American cuisine. There will be chifa dishes that highlight Chinese influence on Peruvian cooking. He said he is excited to bring Amazonian ingredients to D.C. and will source specialty fruits and cacao from the rainforest region. Cocktails will focus on rum, pisco and cachaça. 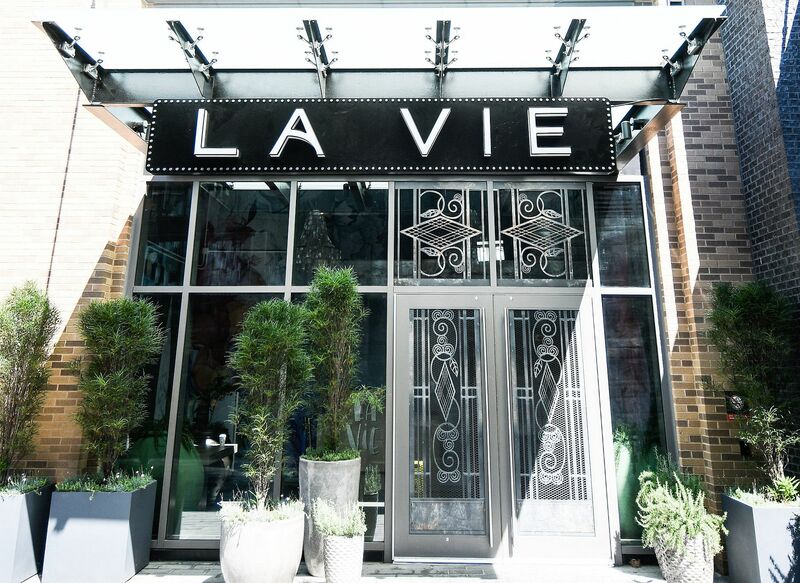 The space, which will seat about 35 including the outdoor terrace, is being designed by James Beard Award-winning designer Alejandro Barrios-Carrero. Seven Reasons will serve dinner and weekend brunch. Sunday Morning Bakehouse will open a permanent storefront at Pike & Rose, the North Bethesda mixed-use development. Chef and owner Caroline Yi grew up in Montgomery County and attended Wootton High School and the University of Maryland at College Park. This year she has been selling her goods at the Pike & Rose Farm Market. When the bakery opens next summer, guests will find Yi’s signature pastries such as traditional croissants that are handmade with French butter over three days, brioche donuts filled with seasonal homemade jam and her newest, twice baked Elvis croissants filled with roasted peanut filling, fresh bananas and crispy bacon. With seating for 30-35, Sunday Morning Bakehouse will also serve dine-in breakfast items such as French style omelettes and herb baked eggs. A variety of sweet and savory toast offerings like homemade jam with sea salt and Catalan-style pan con tomate on crusty sourdough will be offered on the all-day breakfast menu. In addition to morning pastries and breakfast, Yi plans to serve sandwiches during lunchtime including a three-cheese grilled cheese and her mom’s tuna salad with sprouts on brioche. Her passion for baking started when she was just seven years old making Christmas cookies for her family. 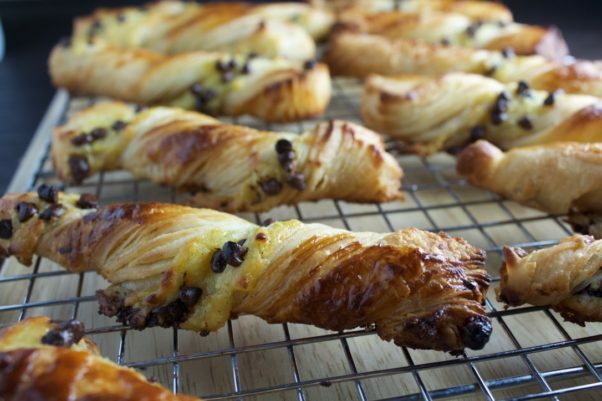 While adding cookbook after cookbook to her collection, over the years she became a self-taught home baker. She pursued a more conventional path attending college instead of culinary school, earning a degree in American Studies and then taking a job in digital marketing. Sitting in front of a computer all day made her realize she had to go after her passion for food and dream of owning her own bakery. She started with a job behind the counter serving pastries and coffee before she got her first opportunity at the baking bench. She has spent the last three years gaining technical skills, test batching and perfecting her recipes. 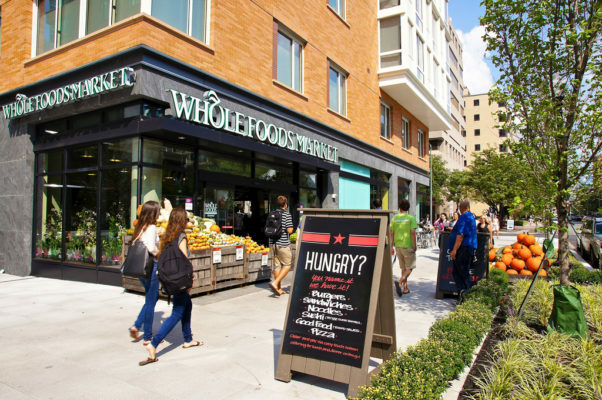 Last Wednesday, Amazon Began delivering products from Whole Foods Market through Prime Now in the DMV along with Columbus and Dayton, Ohio, Portland, Ore., and additional areas of New York City, including Greenwich Village, Chelsea, Union Square and Murray Hill. Prime members in those cities can shop through Prime Now for thousands of bestselling items including fresh produce, meat and seafood, everyday staples and other locally sourced items from Whole Foods Market. Prime members receive discounts on select products and an additional 10 percent off sale items. Eligible Prime members also receive 5 percent back on Whole Foods purchases when using the Amazon Prime Rewards Visa Card. Two-hour delivery is free for orders over $35, otherwise it costs $4.99. Now available in 28 cities, the service launched earlier this year with plans for continued expansion across the U.S. throughout 2018. “We’ve been delighted with the customer response to delivery in as little as an hour through Prime Now, and we’re excited to bring the service to our customers in Columbus, Dayton, Portland, Greater Washington D.C. and even more neighborhoods in New York City,” said Christina Minardi, Whole Foods’ executive vice president of operations in a statement. 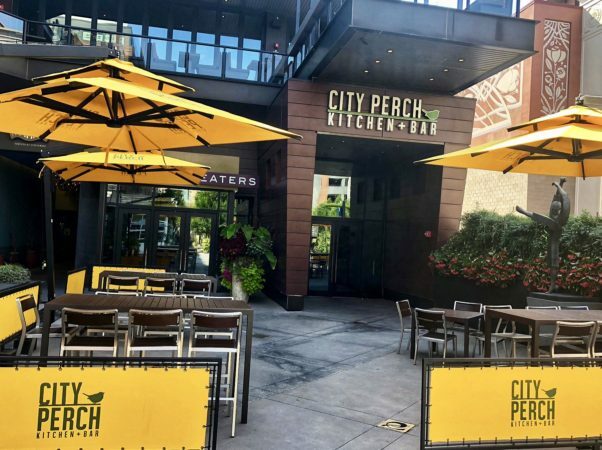 City Perch Kitchen + Bar, 11830 Grand Park Ave., North Bethesda, opened its new ground floor patio last week. The patio is open from 11:30 a.m.-11 p.m. daily, weather permitting. Diners can sit relax amongst the plants and sounds of the water installation surrounding the 40-seat, full-service patio and lounge with wide coverage umbrellas as they take in the sights of the Pike & Rose mixed-use development. Served all day, the al fresco menu includes a selection of both seasonal items and favorites. Dishes include seafood options like shrimp cocktail with green goddess dressing and lemongrass cocktail sauce and crab cakes with Old Bay remoulade, frisée citrus salad, and yuzu vinaigrette. Salads include a summer heirloom tomato salad with roasted peaches, burrata, smoked sea salt, passionfruit vinaigrette, aged balsamic, toasted pistachio and basil, and the 1924 Caesar salad with romaine hearts, garlic croutons, Parmigiano-Reggiano and chives. The menu also includes steak frites made with a dry-aged striploin, shoestring fries and béarnaise, as well as personal 10-inch margherita, xmoky BBQ and meatza pizzas along with several other options. City Perch’s al fresco bar menu is available all day and features 10 specialty cocktails, with a selection of wine, beer and spirit-free options. The downstairs patio is available on a first come-first served basis and for private dining. All Set Restaurant & Bar, 8630 Fenton St., Silver Spring, is serving a special Be A Jerk menu this month. From Sept. 4-30, the restaurant will offer special bar skewers with sweet and savory grilling favorites. Four varieties of skewers are offered. Each incorporates house-made marinade, which is made from a combination of habanero, jalapeño, scallions, black pepper, salt, onion powder, allspice, honey, fresh thyme, soy sauce, garlic and ginger. 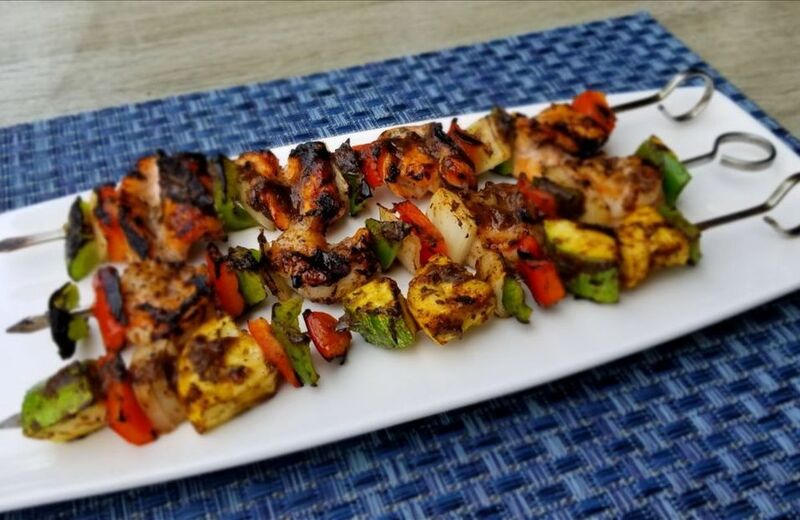 Priced from $4-$7, dishes include grilled jerk skewers; grilled salmon or shrimp skewers with red peppers, green peppers and red onion; and grilled veggie skewers with summer squash, cherry tomatoes, red pepper, green pepper and red onion. The bar skewers are available daily during lunch, dinner and Sunday brunch service.